i do not know if it's a special filling they put in this cigar but i never had a cigar that lasted so long, it is an easy going type of cigar and can be enjoyed by intermediate and/or patient beginners in the cigar world... easy draw, smooth and agreeable as in no need to stress on puffing by fear of loosing the on going burn. This cigar has improved drastically. The draw and construction are excellent highly recommended!!!!!! A full body cigar with plenty of flavor. 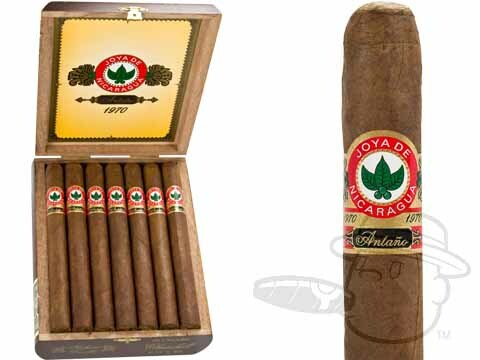 JOYA de Nicaragua Antano 1970 Churchill is rated 4.7 out of 5 based on 8 customer ratings.